Alick George Horsnell was born and raised in Chelmsford. He was a talented artist and trained to be an architect under Frederick Chancellor, Chelmsford’s first mayor. He became a ‘brilliant’ prizewinning architect in his own right before the outbreak of the war. He initially served in the Territorials with the Artists’ Rifles from February 1915 before gaining a Commission into the Suffolk Regiment later that year. He was wounded in November 1915, returned to France upon his recovery, and was killed in action in the early days of the Battle of the Somme in July 1916. His family’s home was in South Primrose Hill. 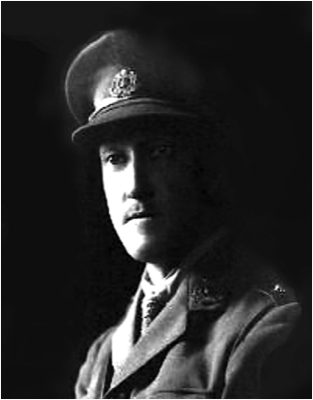 “Dear Sir, On behalf of Mr. C. Horsnell, the father of my old pupil and friend, 2nd Lieut. A. G. Horsnell, 7th Batt. Suffolk Regt, - reported by telegram from the war office as missing since July 3rd, I beg to enclose a copy of a letter received from Sergt. Haggett of the C Company 1st Dorset Regiment, and to enquire whether the War Office has any confirmation of the death of 2nd Lieut. Horsnell. Sergt, Haggett duly forwarded Lieut. Horsnell’s will, which had bee opened, although sealed and addressed ready for posting in the event of his death, and it was not forwarded until the 17th instant. The question agitating the father is, that if the body were lying in the lines of the British advance, why was not the identity disc discovered when the body was buried and the death reported in the usual way. Sergeant Haggett was to survive the war and was Mentioned in Dispatches. The War Office’s response to C. H. Baskett’s letter is unknown. “Sir - I should like, as a sometime fellow townsman of the late Lieutenant Alick Horsnell, of Chelmsford, and as a member of the same calling, to put on record in your paper a few notes as to the very real loss to the architectural profession in this country has suffered through his death in France. Alick Horsnell received his early training as an architect in Mr Chancellor’s office at Chelmsford, and his first success was winning the Architectural Association Travelling Studentship. Later he was for some time assistant in the office of Mr Ernest Newton, the President of the Royal Institute of British Architects, and captured the two most coveted prizes for design offered by the Institute, the Soane Medallion and Travelling Studentship, and the Tite Prize. In both competitions his work showed a maturity of thought and knowledge of detail very remarkable in a man of his age. A short time before the outbreak of war he began private practice and it seemed as if is efforts were destined to meet with great and instantaneous success. He was placed first in a competition for some municipal buildings in the North of England, and no doubt would have carried them out at the end of the war. He was one of the few architects chosen to submit designs for the Board of Trade offices in Whitehall, and he had also other successes. Alick Horsnell was undoubtedly well ahead of any of his contemporaries in the architectural profession, both in his mastery of design and his powers of execution. He was certainly fortunate in the training he received, and unquestionably he worked hard at his vocation but there are hundreds of men in the same profession who were as well trained and who worked equally hard without a tithe of his promise of success. He was the happy bearer of the spark of genius which lighted his path and allowed him to step out confidently ahead of his fellows. His unerring instinct in matters of taste enabled him to design in the manner of tomorrow father than follow on the lines of yesterday, wile his gift of brilliant draughtsmanship gave hint the power of presenting his ideas in the most attractive form. He was a man of scholarly and somewhat retiring disposition, and it is clear to those who knew him at all that his enlistment some eighteen months ago was brought about by his keen sense of duty and not through any love of adventure. Had he lived till the end of the war to take up his work where he left it, there seems little doubt but that he would have won his way to a foremost place among the architects of the day. Alick was born in 1881 in Chelmsford, the son of the market gardener Charles Henry Horsnell and Mary Ann Horsnell (nee Fuller). Alick’s father had been born in Roxwell c1846; his mother in 1843 in Ipswich Suffolk. Alick was baptised at St. Mary’s Church, Chelmsford (today’s Cathedral) on 13th October 1881. At the time his father was a gardener of Hope Square, Chelmsford. Hope Square was a group of eleven properties arranged as three sides of a square on the south side of Primrose Hill, close to its junction with Rainsford Lane. The site is now occupied by flats (numbers 62 to 71 Primrose Hill). Alick’s five siblings, all born in Chelmsford, were Marian Eliza Horsnell (1872-1913), Charles Henry Horsnell (1874-1896), Charlotte Edith Horsnell (1876-1931) , Sidney John Horsnell (1879-1915), and James Horace Horsnell (1884-1884). In 1871 Alick’s parents had been resident at Hope Square, Chelmsford where his father was a market gardener. A decade later the couple and four of Alick’s elder siblings had been resident at 1 Hope Square. The 1891 census recorded Alick aged nine and living with his parents and three elder siblings at 1 and 2 Hope Square. His father was a market gardener and florist. Alick was educated at the Victoria Schools in Chelmsford where his artistic talent emerged. In May 1894 he successfully passed the Freehand Drawing (Elementary) examination at the Crane Court Technical Instruction Rooms, Chelmsford. In February 1896 Alick won the £10 exhibition for boys in the Chelmsford Charity Schools examination, held in connection with Ann Johnson’s charity. In early 1896 Alick lost his brother Charles, who died after a lengthy illness. Charles had worked as a clerk for the Chelmsford solicitors Meggy and Stunt. The following year Alick was passed the Model Drawing Advanced examination. In 1898 one of his book cover designs based on Iris was shown at the Chelmsford Art Exhibition and judged ‘conspicuous’ by the Essex County Chronicle. and brother Sidney. By then Alick was an architect’s clerk working for Frederick Chancellor; his father was self-employed market gardener and his brother a clerk. The following year Alick won the National Book Prise awarded in the national competition of Schools of Art, the prize bing presented to him at the Shire Hall, Chelmsford by Sir Philip Magnus, the Superintendent of the department of Technology at the City & Guilds London Institute. In 1905 Alick won the silver medal offered by the Architectural Association and the following year won the Royal Institute of British Architects’ Tite Prize of £30 to be spent in travel s in Italy for the study of architectural design, His winning design was one for an open air swimming pool with seating for spectators and a colonnaded enclosure which was published in the Builder’s Journal. Later in 1906 his design and sketches made in Italy were shown at the Shire Hall as part of an exhibition of work by evening class students at the Chelmsford Science and Art School. In 1907 two properties designed by Alick were built close to Alick’s home, at what are now 18 and 20 South Primrose Hill. In 1910 Alick won his second Royal Institute of British Architects’ prize, the annual ‘Soane Medallion’, awarded for architectural design. His winning entry was a design for a Shakespeare Memorial Theatre. His prize included £100 for Architectural Study abroad. Street directories show that the Horsnells were living at 2 South Primrose Hill (now renumbered, and pictured) by 1910, and the 1911 census listed his parents there - his father was a florist and market gardener. In 1911 Alick won a bronze medal in a national competition for etching. In May 1913 another etching by Alick, ‘Santa Lucia, Naples’ was exhibited at the Royal Academy in London. Alick moved to London where he worked with some notable architects, and one of his last perspectives was the watercolour and pencil of the new County Hall in London, bringing to life the design of Ralph Knott who had won the competition for the headquarters of London County Council. On 26th July 1913 Alick’s sister Marian, by then married to Robert Wharry M.D. of Whitstone Head in Cornwall, died aged 41.
practice and came second in a competition to design the Board of Trade building in Whitehall, London. In September 1914 he won the £100 first prize in the competition to design Middleton Town Hall in Lancashire. The design was exhibited at the Royal Academy the following year, though the outbreak of the war postponed its construction. On 5th February 1915, giving his address as 5 Gray’s Inn Square, London, Alick attested in London to join the 1/28th Battalion (County of London) Battalion (Artists’ Rifles), a Territorial unit based in the capital at the outbreak of the war. He was given the service number 3310 and had committed to serving for the duration of the war. His passed his medical the same day and his medical records show that he was then 33 years and five months old, five feet seven and a quarter inches tall with a 34.5 inch chest that could expand by three inches. After 92 day’s service in England Alick embarked from Southampton on 8th May 1915, landed in France the next day and joined his battalion on 15th May 1915. 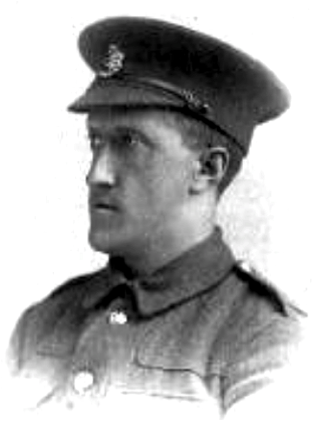 On 17th October 1915 Alick’s only surviving brother Sidney died in Chelmsford aged just 36. He worked for the Essex Education Committee. Just a week later Alick was commissioned as a Second Lieutenant from the Artists’ Rifles into the 7th (Service) Battalion of the Suffolk Regiment, an event that was recorded in the Supplement to the London Gazette dated 17th November 1915. He had served in the Artists’ Rifles for 261 days. The 7th (Service) Battalion of the Suffolk Regiment had been formed in Bury St, Edmunds in August 1914, part of Kitchener’s first new army, and had landed in France in 1915. It was part of the 35th Brigade in the 12th (Eastern) Division. On 22nd November 1915 in fighting near Vermelles Alick received a rifle bullet wound to his left hi. His father was informed of the news four days later, and a follow-up telegram in early December 1915 confirmed that Alick had been repatriated to England and was receiving treatment in the Research Hospital in Cambridge. He had left Dieppe on 1st December 1915 enroute for Dover on board the hospital ship ‘Newhaven’. The bullet had entered the outer side of his left buttock and exited the middle of his left groin. There was no fracture. By 12th December 1915 the entry wound had healed, but the exit wound was still discharging. The Board concluded that Alick would be unfit for military duty until 12th February 1916, but he was able to join the 10th (Reserve) Battalion of the Suffolk Regiment at Colchester on 11th February 1916. On 17th February 1917 he was formally declared sufficiently fit to serve at home by a medical board. He was sufficiently recovered by June 1916 to return to France. Alick’s battalion went on the offensive in the Battle of the Somme on 3rd July 1916, two days after the start of the battle, moving up from Henencourt Wood. During that attack Alick went missing, He was aged 34. 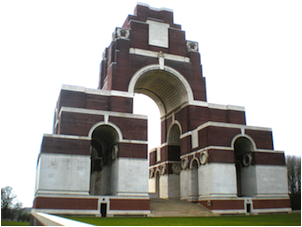 Alick has no known grave and is commemorated on the Thiepval Memorial, near Albert, Somme, France, on the Civic Centre Memorial, Chelmsford and by the Chelmsford Parish Great War Memorial in Chelmsford Cathedral. The Commonwealth War Graves Commission give Alick’s date of death as 1st July 1916, but it occurred on 3rd July 1916. Alick was entitled to the Victory, British War and 1915 Star medals. He left an estate valued at £804 18s. 5d. He had written his will just three days before his death. “An event of the week has been the unveiling of the Chelmsford School of Art war memorial—a piece of work which does credit to the designer and to those who carried it out. The memorial exhibition is remarkable for the high quality of the work by Alick Horsnell as architect, etcher, and painter. Sir Aston Webb, the president of the Royal Academy, who visited Chelmsford some years before the war, mentioned that Chelmsford School of Art, in launching Horsnell had justified its existence, if it never did anything else. This brilliant young man had laid much more than the foundations of a great career, and the quantity of his work is also amazing. Does some subconscious presage of an early death stimulate that eager tirelessness? Such seems have been the case with Rupert Brooke, and earlier with Girlin and Bonington, the painters, and with Keats and Shelley also. 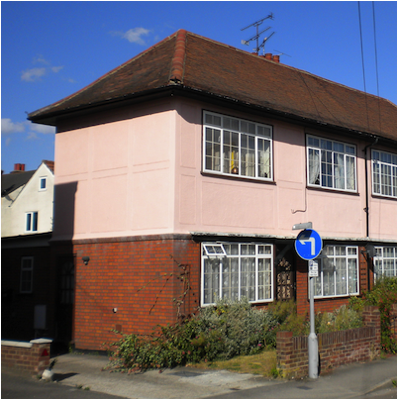 Alick’s parents later lived at The Bungalow, Hull Green, Matching Green. His father died at Little Laver in 1928, aged 82; his mother, two years later, aged 86. Alick was one of the ‘South Primrose Hill Boys’.